What's going on in Cobb County this Fall? 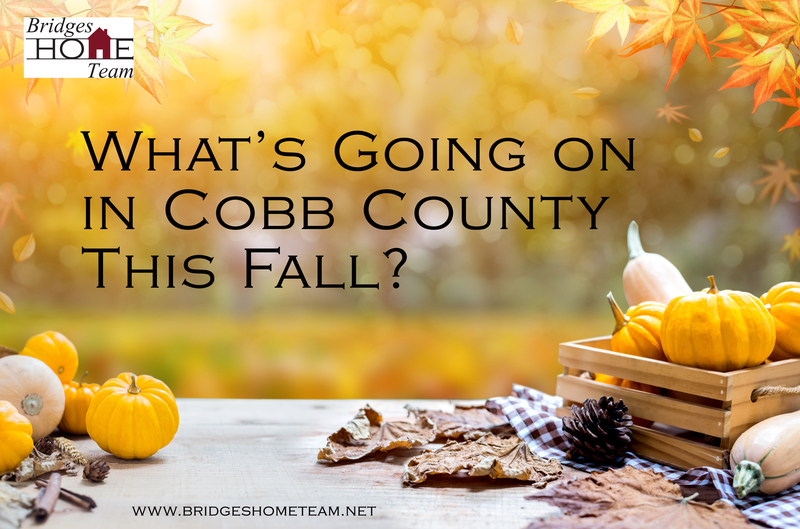 What’s Going on in Cobb County This Fall? It may not feel like it outside but Fall is HERE! We are a few short days from October which means that we will blink and it will be Halloween, Thanksgiving then Christmas. There are some really fun events happening here in Smyrna, GA and throughout Cobb County so we thought we would highlight some of those in our blog today. We don’t just sell Real Estate in Smyrna, GA and Cobb County, we live here and we love being an active part of the community. If you see us wandering around at any of these events, please stop and say “HI!” We love meeting new people! Looking for more? Visit Cobb Tourism’s site at www.travelcobb.org They have a TON of great info on their site!